NEW YORK (TheStreet) — Soft commodities led the way in the commodities space Thursday, with cotton being one of the most noticeable gainers. Cotton prices have nearly doubled in the last 12 months, driven by a number of weather, harvesting, competing crop, post-recession and country-specific or government-related issues. 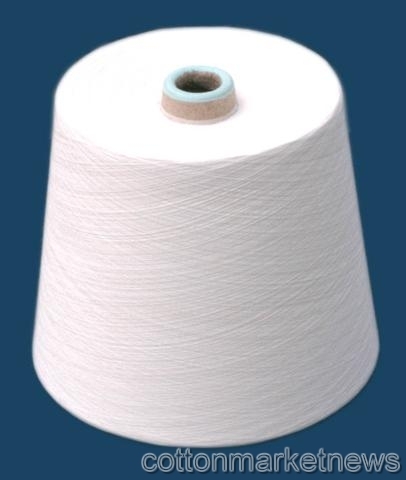 Cotton for May delivery popped by the exchange limit of 7 cents, or 3.5%, to $2.076 a pound Thursday, hitting a five-day high. "Cotton is creeping back toward recent highs, but we do not see the same buying conviction we saw on the previous upswing," Waverly Advisors strategist Andrew Barber said in a client note. "Existing longs should plan to aggressively protect profits if the bulls stumble and this market sells off." On Thursday, the U.S. Department of Agriculture reported that net cotton Upland sales for the week ending Feb. 24 were up noticeably from the previous week and up 50% from the prior 4-week average. The iPath Dow Jones-UBS Cotton Subindex Total Return ETN(BAL_) finished Thursday’s trading session at $108.08, up 1.7%. The U.S. dollar was gaining against the Swiss franc Thursday, rising 0.8% at CHF 0.9312 as the Swiss franc retreated from a record high. "As the rally remains overbought, we may see the USD/CHF consolidate heading into the end of the week," said the DailyFX Research Team. "In turn, the dollar-franc is likely to maintain a narrow range ahead of the U.S. employment report on Friday." owever, the DailyFX Research Team expects to see a breakout in the exchange rate if U.S. payroll figures show a large divergence from market expectations. The PowerShares DB US Dollar Index Bearish(UDN_) rose 0.2% to $27.94 Thursday, while the PowerShares DB US Dollar Index Bullish(UUP_) fell 0.1% to $21.97. CurrencyShares Swiss Franc Trust(FXF_) fell 0.9% to $106.32. Bonds were under pressure Thursday as the equity markets jumped amid their anticipation of strong job growth in February and as oil retreated amid reports that Libyan dictator Moammar Gadhafi had accepted Venezuela’s offer to mediate Libya’s crisis. "Global bond markets are under pressure as equities outperform amid positive earnings surprises, boosting overall sentiment," Brown Brothers Harriman Global Head of Currency Strategy Marc Chandler said in a report. On Thursday, the Labor Department said initial jobless claims shed 20,000 to 368,000 in the week ended Feb. 26, from 388,000, previously. Ten-year notes fell 26/32 to yield 3.57%, up from 3.47% the day before. The PIMCO 1-3 Year U.S. Treasury Index Fund(TUZ_) fell 0.2% to $50.63 and the SPDR Barclays Cptl Shrt Term Corp Bd ETF(SCPB_) ticked down 0.3% to $30.28.